At Star Wars Celebration in Chicago today, the big moment finally arrived. 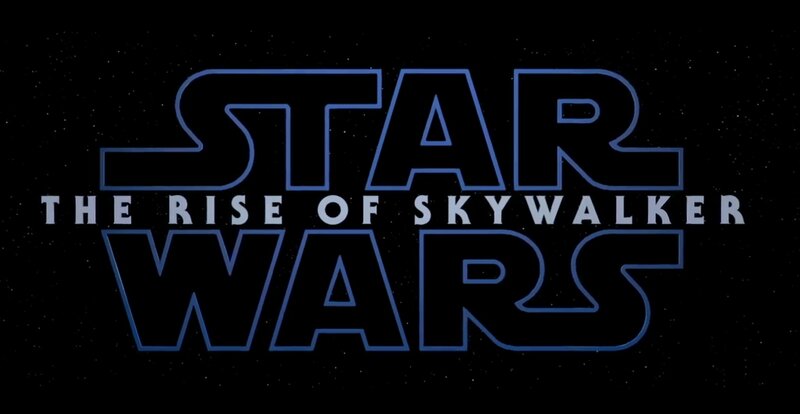 We learned the name of the ninth and final film of the Skywalker saga. Star Wars: The Rise of Skywalker. To finish the saga Lucasfilm and Disney brought back director J.J. Abrams. Abrams directed Episode VII – The Force Awakens – and kicked off the revival of Star Wars movies post Disney’s acquisition of Lucasfilm from the series’ original director George Lucas. Now he has the responsibility, and the privilege, to wrap up the entire saga. It’s going to be one hell of a ride! Disney CEO Bob Iger has been quoted as saying there may be a break in the regular push of Star Wars movies before the next one is released. 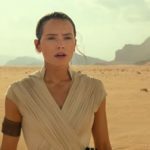 It has been one a year and the theory is that fans are getting too much Star Wars and are starting to get burned out. It’s been a long journey since 1977. Star Wars has evolved. Audiences have evolved. Now, we’re going to wrap it all up in an emotional ‘third act’ of the thing that George Lucas started so many years ago. Buy stock in tissues, that’s all I’m saying. We’ve learned a few things about the film. According to Abrams, it doesn’t pick up right where the last movie left off. Some time has gone by the core group is together on a journey that takes them on a Star Wars adventure. And yes, that group includes C-3PO and R2-D2, the pair that started it all for fans back in Star Wars: A New Hope. I think we can read into this that J.J. Abrams wants to put a solid coda on the Star Wars saga that calls back to what fans love about the series. I would not be surprised if there were a lot of parallels to “Return of the Jedi.” I feel good about that. 2) Carrie Fisher will be in the film as General Leia Organa using deleted footage from previous film. Abrams says it fits in seemlessly. 3) Daisy Ridley says the lightsaber that Rey inherited from Luke still exists. It was last seen torn in half, so that’s an interesting development. 4) It was so good to see Kelly Marie Tran (Rose Tico_ up on the stage. After the social media invectives that were directed her way after her role in “The Last Jedi” she deserves cheers from everybody. 5) D-O is the K-9 of the Star Wars Universe (seriously, there’s a resemblence) and a new friend for BB-8 in Star Wars: Episode IX. What did you think of the trailer? And the new name?